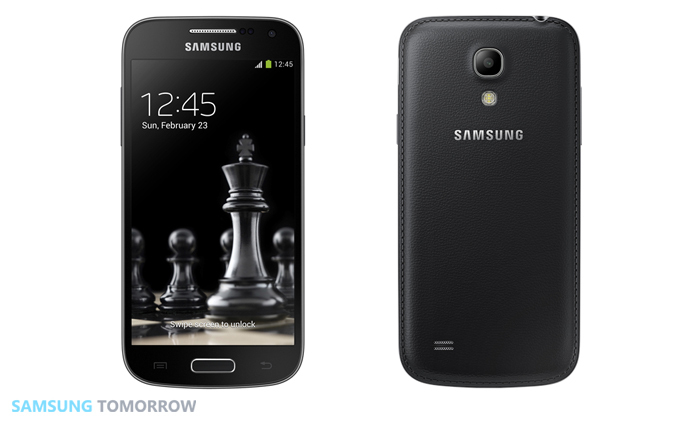 Samsung Electronics introduced new Black Edition versions of the successful Galaxy S4 and S4 mini. These new editions are the latest in Samsung’s effort to build on its commitment to deliver innovative technologies with more premium design choices to consumers. 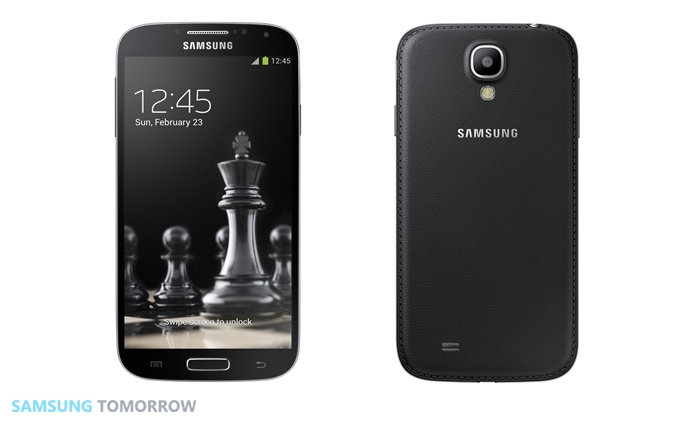 Both the Galaxy S4 and S4 mini Black Editions sport a high-quality leather-like textured black back cover and bezel. This distinct and refined design provides consumers with a stylish Galaxy experience. In addition, Black Edition devices also come preloaded with a suite of eight dedicated wallpapers for both the home and lock screens as well as several new and exclusive ringtones. The Galaxy S4 and S4 mini Black Editions are sold in sleek black packaging complete with a set of black accessories including a power adapter, data cable and headphones. 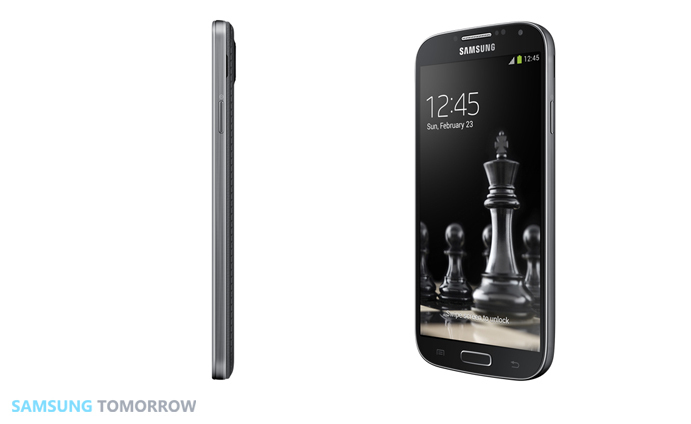 The Black Edition Galaxy S4 and Galaxy S4 mini devices will be available in select markets from February. The Galaxy S4 was developed to enhance the meaningful moments in our lives through its innovative features and superior hardware. It hosts a Full HD Super AMOLED display that showcases images at their very best on a 5-inch screen with 441ppi. Equipped with a powerful rear 13MP camera, the Galaxy S4 also boasts a Dual Camera function that allows simultaneous use of both front and rear cameras. The Galaxy S4’s new and innovative software features include Air View and Air Gesture for effortless tasks, while it also keeps users up-to-date with information about their health and wellbeing using S Health. With a 4.3” qHD Super AMOLED display, 107g light weight and compact design, the Galaxy S4 mini is easy to carry and operate with one hand. Though compact, the Galaxy S4 mini also boasts powerful performance, equipped with a 1.7GHz dual core processor that allows users to quickly and easily perform data intensive tasks. The Galaxy S4 mini supports many intuitive features and services provided by the Galaxy S4, designed enhance every facet of life.